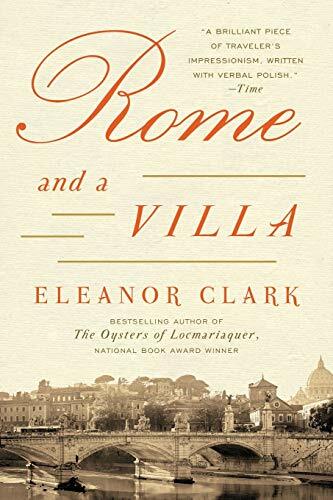 Bringing to life the legendary city's beauty and magic in all its many facets, Eleanor Clark's masterful collection of vignettes, Rome and a Villa, has transported readers for generations. In 1947 the young American writer traveled to Rome on a Guggenheim fellowship. But instead of a novel, Clark created a series of sketches of Roman life written mostly between 1948 and 1951. Wandering the streets of this legendary city, Eleanor fell under Rome's spell--its pace of life, the wry outlook of its men and women, its magnificent history and breathtaking contribution to world culture. Rome is life itself--a sensuous, hectic, chaotic, and utterly fascinating blend of the comic and the tragic. Clark highlights Roman art and architecture, including Hadrian's Villa--an enormous, unfinished palace--as a prism to view the city and its history, and offers a lovely portrait of the Cimitero acattolico--long known as the Protestant cemetery--where Keats, Shelley, and other foreign notables rest. Harper Perennial first published Rome and a Villa in 1992, forty years after its original hardcover publication. This newly republished edition is sure to enthrall today's readers and generations to come. Eleanor Clark (July 6, 1913-February 16, 1996) was born in Los Angeles and attended Vassar College in the 1930s. She was the author of the National Book Award winner The Oysters of Locmariaquer, Rome and a Villa, Eyes, Etc., and the novels The Bitter Box, Baldur's Gate, and Camping Out. She was married to Robert Penn Warren.